Ready to Explore Your World? Italy – A Top European Destination Year ‘Round! Picture a clear blue Mediterranean sea at Capri and Sorrento. The beautiful cliffs of the Amalfi and Cinque Terre coasts. Or the amazing frescoes, mosaics, and sculptures of the cathedrals, and the superb cuisine and wines of the Italian culture. Travelling in Italy is a fabulous experience for all ages! Trafalgar’s Best of Italy guided vacation is an awesome introduction and overview to this wonderful country and culture. Call Barbara – visit Italy now! Phone 519-826-4999 today and ask about the Best of Italy. Allianz Global Assistance travel insurance is included in ALL quotations, ensuring compliance with the Travel Industry Council of Ontario (TICO). Protect your holiday/travel investment! Barbara Fisk, MBA, CTC, MCC, LCS is a Certified Travel & Cruise Counsellor (CITC/CLIA) and is partnered with local professionals to ensure complete and worry-free travel services. 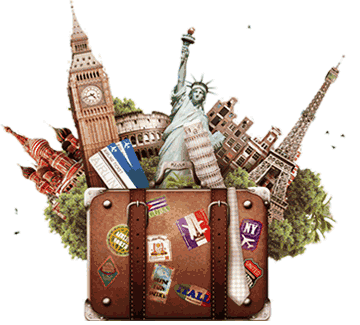 Her travel team working as one provides you with professional, customized worry-free travel and superior customer service! See the Public Health Agency of Canada’s latest Zika Health Advisory.